Who doesn't love neon colors? They're fun, they're bright, they make a statement. Some things just look better in neon. After all, what would the 80s have looked like without neon? 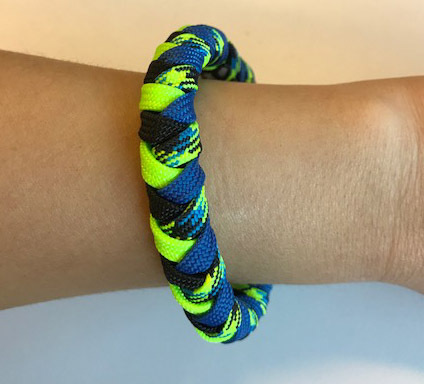 Summer, Halloween, bedrooms, accessories, decorations, and clothes are some of the best ways to get in the neon spirit and neon paracord is the perfect way to do it! We carry a few different neon options - Neon Green, Neon Pink, Neon Orange, Neon Yellow, and Neon Turquoise. Bracelets, key chains, and some big projects all look awesome in neon! The following are some ways you can use neon paracord and fun combinations of neon colors. Combining Neon Rainbow Paracord and a solid neon paracord. The cool thing about neon rainbow paracord is that it has all the neon colors in it, so it'll match any of them for a multi colored bracelet. 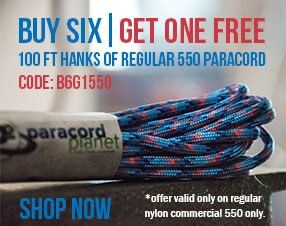 Use Neon Micro Cord to create fun designs on existing bracelets. Using micro cord in your paracord bracelets can really re-vive an old bracelet or give some added excitement to a new one. Combine neon paracord colors with non-neon and dark colors to make it pop. This is one of my favorite color combos. You add some bright fun colors without it being overbearing. 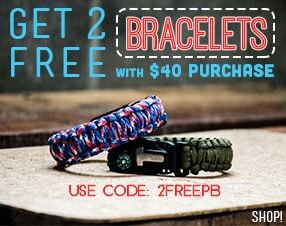 Try the Four Strand Braid Bracelet yourself. Another combination I like is Neon Cord with a lighter solid color. It makes the neon cord pop, with still being a little more subtle than using black. But a paracord neon colored bracelet, dog collar, key chain, etc can stand on it's own and still look amazing. What projects do you do with neon colors?